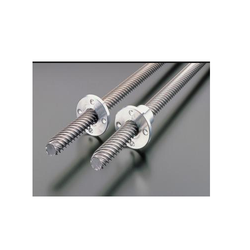 Our product range includes a wide range of ball lead screw and lead screws. This Ball Lead Screw is manufactured by using best quality raw material and advanced technology equipment. The conventional type of ball out of the external circulation Ball Screw, using return tube circulation system, Offers better solution and quality for general lead or large diameter ball screws. To deliver our clients a quality range of products, our quality controllers test these products on various parameters and issue testing certificates to our clients. Leveraging on our wide industry experience, we offer an extensive range of Lead Screws. 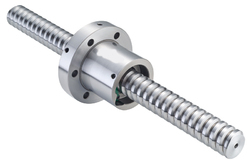 These lead screws are extensively demanded due to their ability to eliminate the friction between the components and translate rotational motion into linear motion. Offered lead screws are manufactured to per quality standards by using metal alloys and cutting-edge technology. Further, these are also checked for set quality parameters by our quality experts to ensure their flawlessness. According to varied need of clients, provided lead screws are available in various shapes, designs and sizes at the cost-effective price. Looking for Lead Screws ?